Connect with the team behind Adoptive Families and adoptivefamiliescircle.com by sharing a story or piece of advice in response to one of the topic below, or suggesting your own story idea. If you don't wish to leave a public comment, you can always e-mail the editors of AF. THIS CONTEST IS NOW CLOSED. 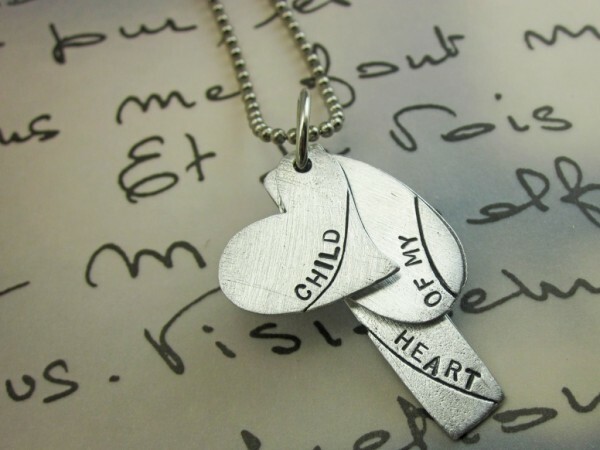 Thank you to everyone who shared one of their family's adoption memories for a chance to win a beautiful keepsake necklace. "I knew I was a mother when I was waking every two hours for feeding. I was always a person who loved my sleep. Now I can't tell you the last time I slept in…. I love being a mommy!" Along with tea parties and superheroes, preschool-aged children may incorporate themes like birth and adoption into their play. In the July/August 2011 issue of Adoptive Families, we help parents understand what's behind some common imaginative scenarios, and how to use play to open up adoption discussions. Do your kids get creative when exploring adoption or their birth cultures? Share your family's playful scenarios, and follow-up conversations, with fellow parents by posting a comment below. What adoption-related flicks are on your family's must-see list right now? Have you seen Kung Fu Panda 2, Rio, or another recent film with an adoption storyline? Share your review with fellow readers! Was adoption portrayed accurately? Did any scenes spark a conversation with your kids? Are there any movies you'd advise other adoptive families against seeing? "Mother's Day and Father's Day hold special meaning for all of us, after long, and sometimes excruciating, wait to become parents. For the past two decades, my Mays have been filled with strawberries, pancakes, and warm maple syrup, heartfelt letters, and my gratitude for being called 'Mom' by my two favorite girls in the world. What do these two holidays mean for your family?" wrote Adoptive Families editor Susan Caughman in the May/June 2011 issue. Please share your favorite memories and traditions for these special days by posting a comment below. And from all the staff at Adoptive Familie and AdoptiveFamiliesCircle, Happy Mother's Day and Happy Father's Day! Is there a topic you'd like to see us cover? Tell us a bit about your idea, including why you'd like to see it addressed in the pages of Adoptive Families magazine. Have you come across an adoption-sensitive company, movie, book, TV show, or celebrity, and want to recognize their efforts to be understanding and inclusive? Applaud them with a Thumbs Up. Disappointed by yet another adoption stereotype, misuse of the word, or implication that our families are "second best"? Call them out with a Thumbs Down. Could you use some advice from AF's panel of adoption experts? Submit a question here. Or, read past questions and answers, by topic. By submitting a response to any of these topics, you give Adoptive Families the right to modify, publish, and reproduce your submission in Adoptive Families magazine, on its website, on www.adoptivefamiliescircle.com, in the Adoption Guide or on www.theadoptionguide.com, or in any AF syndication, anthology, or electronic database, attributed to the full name you used when you registered your AdoptiveFamiliesCircle account. There is no payment. You certify that these are your own words and that you have not violated any copyright laws. If you'd prefer to respond for background only or would not like to be identified by name in the magazine, please specify your preference in your response. If you don't specify one way or another, we'll assume that it's OK to quote you.